ooVoo is a free video chat app that works on most different types of devices, such as laptops, desktops, tablets, and smartphones. With so many different social media apps out, it can be tough to keep up with all of them. For parents, knowing what your kids are up to on social media and who they're talking to is essential for keeping them safe. Let's take a look at the video chat app called ooVoo and the information parents need to know about what it is, how it's used, and how to ensure your kids use it safely. ooVoo works on Windows, Android, iOS, and MacOS so it isn't limited based on what type of phone or device a user has the way some other chat platforms are. With ooVoo, users can start or join a group video chat of up to 12 people. The app also allows users to send text messages, leave video voicemails for a friend who is unavailable, upload and send pictures, talk using voice-only calling, and even record short videos up to 15 seconds long and send them out to friends. A video chat app such as ooVoo can be useful for teens to participate in study groups with classmates. It can help hearing impaired users see who they're talking to and communicate better than is possible with a traditional voice call. 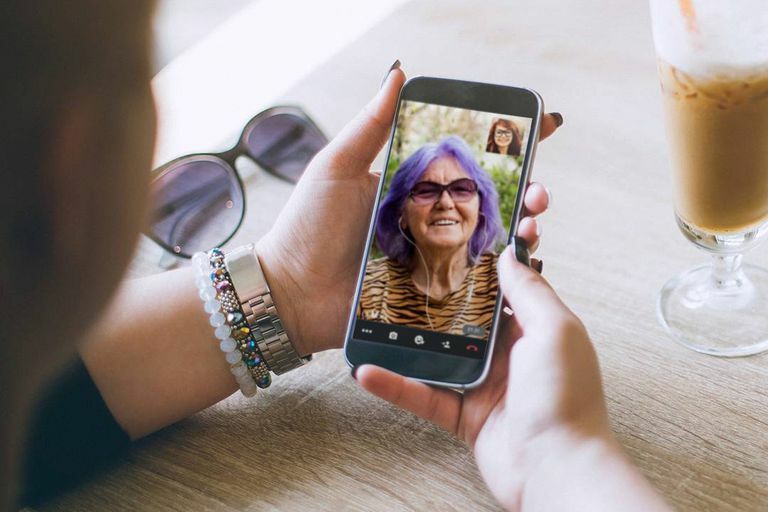 The free video calling feature is great for families who want to keep in touch across the miles and being a mobile video chat, parents and their kids can connect with grandma and grandpa from anywhere, even playing at the park. The options to use ooVoo video call, text, and voice services make it a useful app for different communication needs. Like any social media app, keeping kids safe requires parents to monitor their activities, connections, and use of the app. ooVoo is intended for users over 13 years old, and states this clearly in the steps to register to use the ooVoo app. However, these measures aren't effective at preventing kids younger than the intended age from downloading and signing up for any social media app. With a claimed 185 million users worldwide, the app understandably has users of all different age groups, which means there is the risk of people who are up to no good being among those users. There are a few safety issues parents should be aware of when it comes to ooVoo. First, the default privacy setting for who can see and contact a user is "anyone". This means that once your kid has signed up for the app and completed registration, anyone anywhere in the world can see their username, photo, and display name. Before your teenager begins using the app, you'll want to change their privacy settings to hide that information. A second security issue parents should be aware of is that the username for the ooVoo login can't be changed once it is set up. The display name can be changed, however, the username cannot. As a first step, parents should change the privacy settings on the ooVoo app. On most devices, you can access these settings by clicking on the profile picture > Settings > Privacy & Security or clicking on the icon that looks like a gear in the upper corner and then My Account > Settings > Privacy & Security. If you have difficulty locating or changing the privacy settings, reach out to their customer support team and don't allow your teenager to use the app until you've successfully changed their privacy settings. The default setting for who can see a user's information and send them messages is 'Anyone', which is completely public. The best setting to keep your kid safe while using ooVoo is to change this setting to 'No One', which prevents anyone who is not an invited friend or known contact from messaging them or connecting with them through the app. Next, you'll want to make sure their gender and birthdate are hidden or set to private. As an extra precaution, make sure your teenager knows how to block users they don't know personally or who send them unwanted messages or videos. If they've received something threatening or inappropriate, make sure they know to alert you right away so you can report the user to the ooVoo team. As a parent, the best way to keep your kids safe on ooVoo or any social media app is to clearly communicate with them about responsible use. Make sure they understand your expectations for what they are allowed to share and who they're allowed to communicate with using these apps and why. For example, it's important make sure your kids know not to share their ooVoo username publicly on other social media apps like Instagram, Facebook, and Twitter. Keeping certain information, such as usernames that cannot be changed, and only sharing directly with family members or friends they know in-person helps keep this vital info out of the hands of strangers. Make sure your kids know to conduct themselves in a group video chat like they would in public or in school. There are programs that record video chats and calls without alerting the other participants. ooVoo allows up to 12 people in one group chat and any one of them could be recording the chat session to publicly post at a later time in other places on the internet, such as YouTube. Free video chat apps, such as ooVoo, make keeping in touch easier than ever. While all social media apps present risks for teenagers, parents can protect kids by understanding the apps they're using, having honest discussions with their kids about using mobile video chat apps responsibly, and taking some simple steps to update privacy settings to make using ooVoo a safer experience.